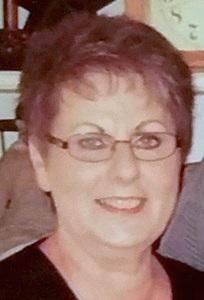 Anita Gail Scrivner (Knox) of Olathe, KS, died on May 31, 2016, surrounded by her family. She was 66 years old. Anita was born in Yakima, Washington. Her sudden death is a reminder to never take love or life for granted. Anita was a retired preschool teacher who touched the lives of hundreds of children and families who knew “Miss Anita” as a dedicated and loving teacher and friend. Her home was often mistaken for a country craft store with every inch of space carefully decorated and curated with creativity and perfection. Anita’s decorating talents extended to her yard with garden beds and landscape designs that made people driving by stop and admire her talent and hard work. Christmas was always a special time with multiple Christmas trees in every shape and size on display throughout her home and decorated with perfection. She spoiled her children and her grandchildren to a fault. We will miss telling family stories with her, especially the ones that always got her laughing her “Nita laugh” until tears were running down her cheeks. Anita is survived by her husband of 45 years, Richard Scrivner of Olathe, Kansas; her daughter Amy Scrivner and son-in-law Chris Scott of Cincinnati, Ohio; her son Cory Scrivner and daughter-in-law Jackie and their children: granddaughter Alyson, grandson Cody, and step-grandchildren Dylan and Savanna, all of Olathe, Kansas. Anita is also survived by her mother Clarice Knox (nee Enright) of Olathe, Kansas, sister Carol Gefre (Rob) of Zillah, Washington, and numerous nieces, nephews, cousins and extended family. She was preceded in death by her father Joseph Frank Knox, her brother Larry Knox (Diana), and her niece Tara Creach. No funeral services will be held. A private gathering of family and friends will take place at a later date. In lieu of flowers, please consider a donation to the Cystic Fibrosis Foundation at https://www.cff.org/.